There’s no denying the fact that Sydney is a great place to visit when the weather is fine. What with the beaches, beautiful flowers, festivals and events, summertime spells fun in the beautiful Harbour City. What a lot of people don’t realise, however, is that winter in Sydney has a lot to recommend it as well. Sure, summer in Sydney is fantastic…until you try to get into a restaurant on a Friday or Saturday night. Or Sunday morning. Or anytime, for that matter. Sydney is notoriously overrun with tourists and locals enjoying their city in summer, which also means that there’s less room for you to take part! Paying the Harbour City a visit in the cooler months will give you a better shot of seeing all there is to see without the crowds and crush! 2. There’s a Winter Festival! Really! Sydney never gets too many grey days in a row, so even when you visit during the winter months you’re bound to have a few sunny days! Walking along the coastal walkways in the crisp autumn or winter air and watching the gentler sun create patterns on the water is pretty darn nice…and what’s even better, you’re not going to feel ridiculously hot and humid while doing it! 4. We Have Great Art And Theatre. Indoors. 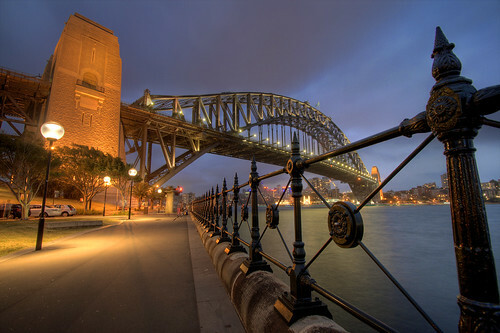 Sydney might be good-looking, but it’s got substance, too! Just because it looks good in a bikini doesn’t mean there’s not plenty going on inside…like the multitude of art, theatre and literary events that scatter the city year-round. The Sydney Writer’s Festival is held in Autumn and there are world-class museum and gallery exhibitions held throughout the year. If ever there was a place that suited cold weather, the Blue Mountains would be it! The gorgeous Blue Mountains region boasts not only spectacular scenery but a thriving food and wine scene, complete with some of the most charming B&Bs in the country. Now, a B&B is always fun, but it’s even better when it has a roaring log fire to cozy up next to! Whether you’re taking a Sydney Harbour cruise and checking out the sites or enjoying the crowd-free harbourside walks in the crisp air, winter in Sydney has a lot to offer the visitor…find out for yourself!